There are at least three artists recording under the name Noel. 1. 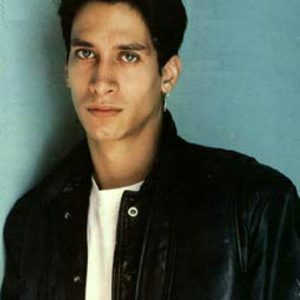 Noel Pagan (also known as Noel) is a Puerto Rican American and Spanish male Latin freestyle singer born in the Bronx, New York. "Silent Morning" became his first Top-10 hit on the dance singles chart and peaked at #47 on the Hot 100 in 1987. "Like a Child" peaked at #67 in 1988, but it became his first number-one single on the dance chart. He topped the dance charts again later that year with "Out of Time." He currently resides in Ridgewood, New York. 1. Noel Pagan (also known as Noel) is a Puerto Rican American and Spanish male Latin freestyle singer born in the Bronx, New York. "Silent Morning" became his first Top-10 hit on the dance singles chart and peaked at #47 on the Hot 100 in 1987. "Like a Child" peaked at #67 in 1988, but it became his first number-one single on the dance chart. He topped the dance charts again later that year with "Out of Time." He currently resides in Ridgewood, New York. 2. No?l is a female solo artist, she is noted for her 1979 electro-disco album Is There More To Life Than Dancing? which was written and produced by Sparks members Ron and Russell Mael. The correct tag should be No&euml;l.